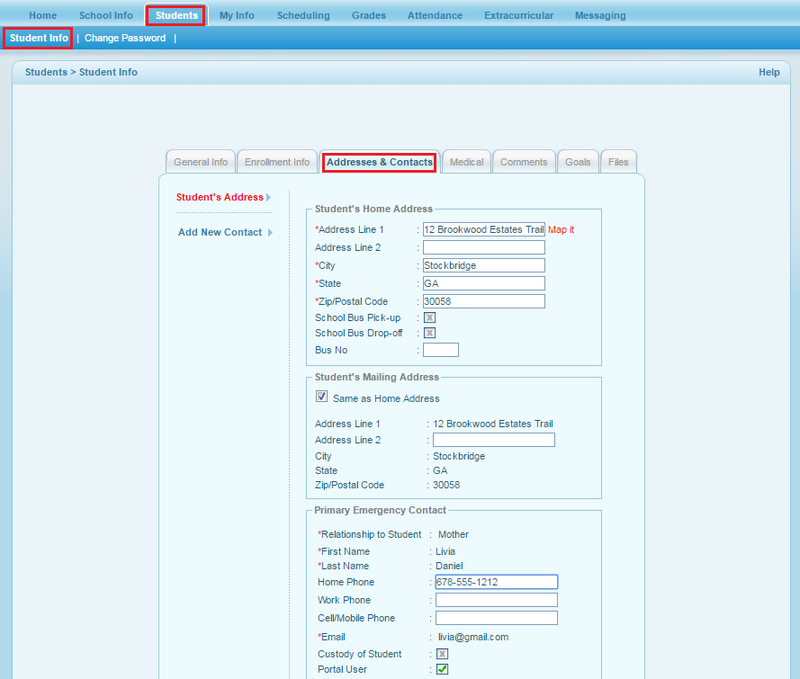 Parent can change child's Address & Contacts details from Students >> Students Info >> click on the Address & Contacts tab. Here edit the address & contacts details and save the changes. This change would reflect in the admin & other logins too.